‘Who smiles through life- except when crossed? Who knows, or thinks he knows, the most? Who loves good things: baked, boiled, or roast? 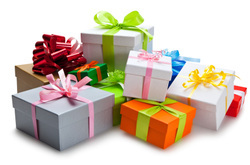 The sensational, sensual and self-indulging Taurus men and women don’t just love gifts, they positively adore them! Thus the perfect way to woo the proud and passionate Taurean is with the perfect present. Come running to us like a bull charging a red flag, as we have a tremendous collection of titanic gift ideas tailored to suit the tough and terrific Taurus! With a sense of style, a dash of daring and a bucket-load of wonderfully unique ideas, we’ll show you how to indulge that special Taurean with a whole new meaning of luxury! When looking for a great present for the towering Taurus, don’t forget that these fine individuals have a very particular taste. Though they will be very appreciative of the thought behind your gift, they are not sentimental; and will never wear, adorn or use something they don’t like. So it is best to really know their style or just take them shopping. Excited by the expensive, with an admiration for the authentic, Taureans always choose quality over quantity! Preferably go for branded wear in earthy colors, top-notch cigars or costly wine to make a solid impression. They also love to indulge in fine food, and so a great gift idea would be a basket of gourmet delicacies and fancy chocolates! Both Taurus men and women like to sit in the lap of luxury and believe in living life to the fullest! Treat them like royalty with a magnificent massage and makeover at a lavish spa. As they love to share momentous occasions and spread joy, include their spouse, sibling or best friend in the package to make it all the more special. Gift them a taste of the good life with elegant, yet extravagant furniture, like a plush sofa, a comfy yet regal armchair with footrest, an intricately carved table lamp etc. Another way to impress them is by decorating their homes with a sheepskin rug in front of the fire-place, sleek wall hangings, stately paintings or sensational sculptures. 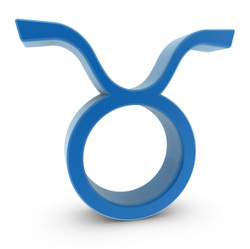 Taurus is the most stable, reliable and practical member of the zodiac. They probably will never go and splurge on unnecessary trinkets. Well, lucky for you, diamonds are the Taurus gemstone and every girl’s best friend. Thus win them over on their special day with an elegant diamond necklace, a studded initial pendant, or a bauble with sapphire and diamonds (their lucky stones). You can also go for something inspirational and personalized with the sign of the powerful bull. Another different and fun idea is getting a gift related to famous Taurus celebrities, like a David Beckham t-shirt, a Pierce Brosnan- James Bond collection or a book on Adolf Hitler! While Taurus men and women are cool and classy, they are also sensitive, considerate and very good at recognizing the effort and thought you put behind your gift. So do your best, and make an impression with an original and spirited gift!